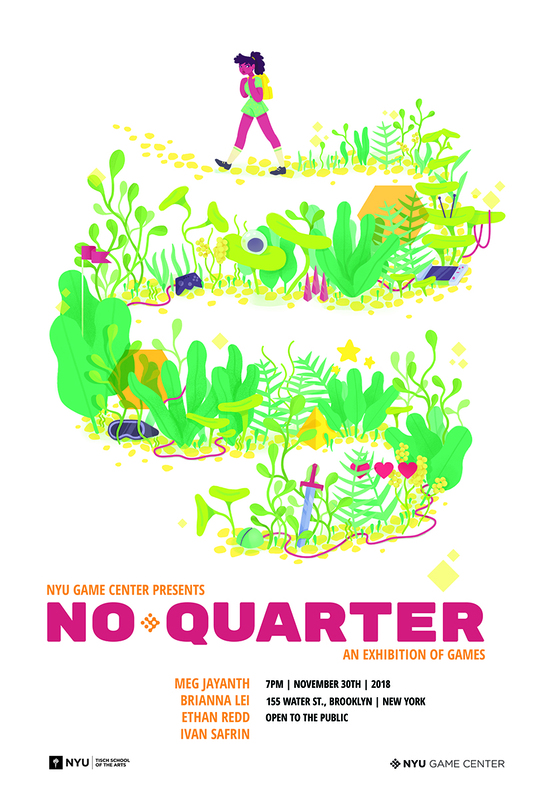 The NYU Game Center is proud to announce the 9th annual No Quarter Exhibition. Each year we commission four new games from four artists — our mission is to help nurture game design for public spaces and to support unique and bold voices in the game design community. Please join us on November 3oth at the DUMBO Loft in Downtown Brooklyn, to celebrate and play these ground-breaking games specially designed for the event.